Should I start a photography business? The first most frequent question I get asked by people is 'Where is the accent from?'. I've a Canadian twist with a little bit of Meath (Irish) in it. The answer to that question is usually shocking because my native language is Russian. Now that it's out of the way lets talk about the second most frequent question which is 'How long have you been doing photography?'. I have been shooting professionally for over 6 years. My first encounter with a camera was when I was about 13. 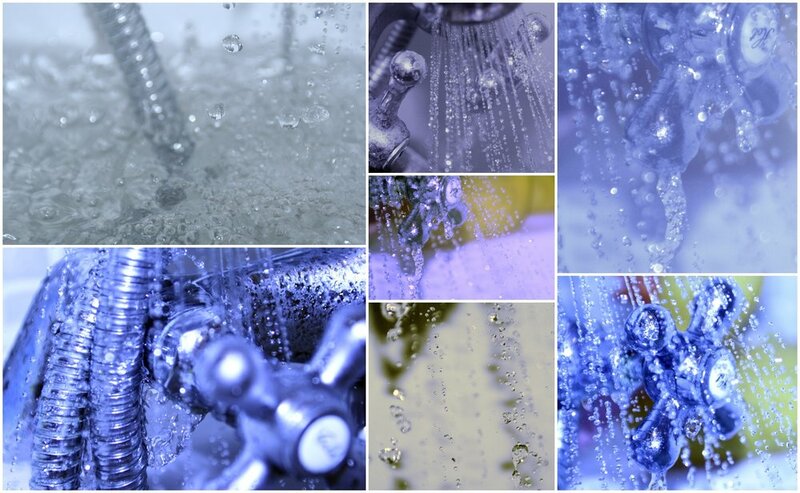 On one of the nights of my Christmas holidays I snuck my parent's camera to take photos of droplets from a tap - as seen in a collage below - in a bath tub when everyone else was asleep. (Creepy much? Kids my age were doing stuff that was actually frowned upon by parents.) A deep feeling of satisfaction spread throughout me as I was capturing the falling water. After that you could find me spending hours on end getting the 'right' shots of the morning dew on the overgrown back garden grass. That's how it all started I suppose. I love those memories. Throughout secondary school years I dreamt of being a lawyer, then had my mind set on psychology. Photography was never considered as anything serious but a silly hobby. It was a hobby until the moment when I panicked on the night of a college application form deadline. I picked Communication Studies in DCU as my first choice over Psychology and I didn't realise that from that moment on my life took a completely different turn. After my first year in college I moved out to live in Moscow. My plan was to figure out if I want to spend 3 years of college studying something I will never practice in life. At that point in time Moscow was the only city on the planet that could prove to me quickly and firmly if photography was worth pursuing or not. I was lucky to find a job in a water park where I spent a significant amount of my photography training. I worked with talented photographers in there while simultaneously managing a photo studio and shooting for one of the leading model agencies in Moscow. I learned very quickly and soon enough I realised that photography was a career I truly wanted to pursue. I didn't realise that I would start my own business when I moved back home to Ireland. I picked wedding photography because I love raw emotion. (Well, honestly, I love pretty gowns, flowers, rings and bling, yes especially bling.) So starting my own business was the only way to continue growing. There are thousands of resources online on how to start a photography business. I won't go into the specifics but will give you the best piece of advice I wished I listened to when I was starting off. Starting up a photography business should come with a deep understanding that you cannot do it all on your own. Yes, even if you have a very small financial reserve. I started my business with researching all the different stages of a business plan and I remember coming back to that very same piece of information, that it is impossible to run a successful business on your own. Sadly, it took me 3 years to come to terms that outsourcing and asking for help is inevitable and essential. The 3 year timeframe should probably show you how stubborn I was. Don't make the same mistake. There are valuable resources that are very accessible. For example 'Start Your Own Business' is an amazing course that can be found in your Local Enterprise Office. The programme will allow you to research your business plan with a mentor rather than on your own, like I did. You will also acquire basic necessary skills and as a result you will be able to seek further advice on the running of your business after the course is finished. It's one of the first steps to a support network that will become essential for the future running of your business. The more support links you have the faster your confidence will grow on the market. The area of business and marketing is vast and is always changing. It should be a regular must to upgrade your skills in this area. It is, however, time consuming so it is one of the aspects in your business that should be fully or partially outsourced. For example, having a business advisor or a mentor, or hiring a specialist in a particular area of marketing. If this area doesn't intimidate you like it intimidates me up until this day, then I am a deep admirer of your confidence. Setting business goals is exciting but there is a very fine line of dreaming up something unattainable and seeing the reality of potential growth in your business. Be realistic, give yourself grace and plan with patience in mind. In the era when Facebook, Google and Instagram algorithms are changing to make it harder for our businesses to be seen and with the growing competition and its standards it is hard to give yourself the capacity to understand that achieving business goals can be slower than anticipated. I will insist on giving you this piece of advice. Invest in a coach. Yes and again, even if your resources are limited. This is an essential link to a support network that will go a looong way. Warning: Honesty! I've struggled through my first two years of business with a severe feeling of loneliness. It was hard to concentrate on creating a quality product that focuses on happy emotions when I wasn't happy myself. It also took me a long while to understand that whatever I do has to either make me fundamentally happy, or change so I can become fundamentally happy without it. Running a business on your own is lonely. That is the ultimate, harsh reality and there's nothing much to add to that really. At this stage of my business I'm primarily focusing on making sure that I'm happy. If I'm happy I radiate an absolutely different vibe. I create differently, from a happy place and that makes all the difference in the world. Inner piece, happiness, grace and love is not just some hippie perception of life, it is one of the fundamental principles that makes a creative business thrive. For those who weren't planning on opening their own business but merely stumbled upon this article to learn a little bit about my journey should know that photography to me is like a never ending love story. It has happily made home in my heart and is a part of my everyday life. DO I HAVE TO LIKE MY WEDDING PHOTOGRAPHER?